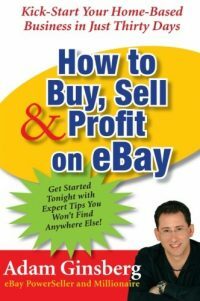 eBay and Beyond - is the concept and brainchild of one Dave White of Western New York. The show started on terrestrial radio on February 7th 2007 broadcasting throughout Northern Pennsylvania and Western New York State and has since moved on the Internet with what can now only be noted as a global audience. Dave White comments on each show that his is the only "Independent, Informative, INDEPENDENT and unbiased eBay and eCommerce broadcast available" (I am paraphrasing) and I have to agree that Dave actually started it all in the Independent eCommerce commentary marketplace. 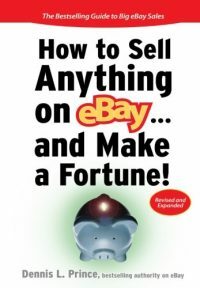 Some will note that eBay radio has been around much longer than what will be eBay and Beyonds second anniversary show tomorrow (February 7th 2009) yet even if true, eBay radio does not give the same unbiased point of view of eBay and Beyond's Dave White. Dave has been as always generous to those whom have followed along in behind his trailblazing Internet radio path, myself included. Many readers know that I have co-hosted the show on numerous occasions, starting in late 2007 and continuing to this day. Dave has shown many of us late bloomers the way to run an interview and talk program about eCommerce and we all owe him a debt of gratitude because without pioneers like Dave White, the internet radio eCommerce talk show genre may not exist today. Tomorrows 2nd anniversary eBay and Beyond show will be broadcast on TalkShoe and Ustream with Live video. It promises to be an extravaganza of unmatched excitement. I understand there will be a bevy of prizes for the listeners, including several brought to the table by yours truly... including a Website development package for one lucky winner including 6 months of free hosting. We will also be offering the free trials of MerchantRun-GlobalLink Global eBay software with $24.99 worth of selling credit on each account during the show. Dave also has a premier Bonanzle membership available among other prizes and gifts. But don't tune in just to win something, pull up a chair and listen in to Dave as he celebrates a milestone of almost 100 consecutive shows dedicated to the ecommerce community. Dave offers honest to goodness education and insight without selling a DVD set or get rich quick scheme at every turn. He does it because it is what he loves to do and because he saw the need for someone to stand up and present every side of the story. If it aint smelling like a rose, Dave won't say that it does and if and honest opinion is needed, Dave will find the right guest to give it. Come listen to Dave tomorrow simply because he works hard every week for all of us and he deserves our attention for this accomplishment. 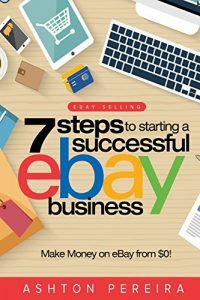 Congratulations Dave White and eBay and Beyond Basics to Business for a solid record of broadcasting integrity and excellence. You get the Trading Assistant Journal outstanding talk show golden microphone award! Woo Hoo - where did I put that trophy? If you missed the show it is available for your pleasure here anytime.